We have added this section because regardless of the original reason a patient comes to see us, nearly every woman / her partner / family member / friend experiences some kind of ‘general’ health issue, be it headaches or indigestion or a pulled muscle, etc. Acupuncture treatment and also Chinese herbal medicine, are both integral parts of Chinese medicine practice, which offer a gentle way to help ease arise in your mind and body. This science and art of natural healing originated in ancient China, has evolved over at least the last 2,000 years and is still evolving. For example, as of 4.3.18 in the Cochrane Central Register of Controlled Trials we can see over 10,000 clinical trials of acupuncture. Acupuncture is considered safe in the hands of a well-trained practitioner and has been found to be cost effective for some conditions. The quality and quantity of research into acupuncture’s effectiveness is increasing. These days new research is ongoing in many parts of the world, the field is alive with activity and progress. It is no longer possible to say that the effectiveness of acupuncture is because of the placebo effect, or that it is useful only for musculoskeletal pain. The conditions listed below are from the body of current research evidence using human subjects and based on National Health and Medical Research Council Level 1 evidence (systematic reviews), also a small number of good quality Level 2 studies (these are randomised controlled trials). All these studies are less than 5 years old. Schug, S. A., Palmer, G. M., Scott, D. A., Halliwell, R., & Trinca, J. (2016). Acute pain management: scientific evidence, fourth edition, 2015. Med J Aust, 204(8), 315-317. McDonald JL, Smith PK, Smith CA, Changli Xue C, Golianu B, Cripps AW. Effect of acupuncture on house dust mite specific IgE, substance P, and symptoms in persistent allergic rhinitis. Ann Allergy Asthma Immunol. 2016 Jun;116(6):497-505. Choi, S. M., Park, J. E., Li, S. S., Jung, H., Zi, M., Kim, T. H., . . . Baoyan, L. (2013). A multicenter, randomized, controlled trial testing the effects of acupuncture on allergic rhinitis. Allergy, 68(3), 365-374. Taw MB, Reddy WD, Omole FS, Seidman MD. Acupuncture and allergic rhinitis. Curr Opin Otolaryngol Head Neck Surg. 2015 Jun;23(3):216-20. Garcia MK, McQuade J, Lee R, Haddad R, Spano M, Cohen L. Acupuncture for symptom management in cancer care: an update. Curr Oncol Rep. 2014 Dec;16(12):418. McKeon C, Smith, C.A., Hardy, J. & Chang, E. Acupunctrue and acupressure for chemotherapy-induced nausea and vomiting : a systematic review. Australian Journal of Acupuncture and Chinese Medicine. 2013;8(1):2-17. Scottish Incollegiate Guidelines Network (SIGN). Management of Chronic Pain (SIGN publication no. 136). Scottish Incollegiate Guidelines Network (SIGN); 2013. Chang SC, Hsu CH, Hsu CK, Yang SS, Chang SJ. The efficacy of acupuncture in managing patients with chronic prostatitis/chronic pelvic pain syndrome: A systemic review and meta-analysis. Neurourol Urodyn. 2016 Jan 6. Qin Z, Wu J, Zhou J, Liu Z. Systematic Review of Acupuncture for Chronic Prostatitis/Chronic Pelvic Pain Syndrome. Medicine (Baltimore). 2016 Mar;95(11):e3095. Abaraogu, U. O., & Tabansi-Ochuogu, C. S. (2015). As Acupressure Decreases Pain, Acupuncture May Improve Some Aspects of Quality of Life for Women with Primary Dysmenorrhea: A Systematic Review with Meta-Analysis. J Acupunct Meridian Stud, 8(5), 220-228. Smith CA, Armour M, Zhu X, Li X, Lu ZY, Song J. Acupuncture for dysmenorrhoea. Cochrane Database Syst Rev. 2016;4:Cd007854. Xu, T., Hui, L., Juan, Y. L., Min, S. G., & Hua, W. T. (2014). Effects of moxibustion or acupoint therapy for the treatment of primary dysmenorrhea: a meta-analysis. Altern Ther Health Med, 20(4), 33-42. Kim KN, Chung SY, Cho SH. Efficacy of acupuncture treatment for functional dyspepsia: A systematic review and meta-analysis. Complement Ther Med. 2015 Dec;23(6):759-66. Lan L, Zeng F, Liu GJ, Ying L, Wu X, Liu M, et al. Acupuncture for functional dyspepsia. Cochrane Database Syst Rev. 2014(10):Cd008487. Dong, B., Chen, Z., Yin, X., Li, D., Ma, J., Yin, P., … Xu, S. (2017). The Efficacy of Acupuncture for Treating Depression-Related Insomnia Compared with a Control Group: A Systematic Review and Meta-Analysis. BioMed Research International, 2017, 9614810. Lu, Z. Z., Yin, X.J., Teng, W.J., Chen, Y.H., Sun. J., Zhao, J.M., Wang, A.Q.Bao C.H. & Shi, Y. (2015). Comparative effect of EA and moxibustion on the expression of SP and VIP in patients with IBS. Journal of Traditional Chinese Medicine, 35(4), 402-410. Coeytaux RR, Befus D. Role of Acupuncture in the Treatment or Prevention of Migraine, Tension-Type Headache, or Chronic Headache Disorders. Headache. 2016 Jul;56(7):1238-40. Manyanga T, Froese M, Zarychanski R, Abou-Setta A, Friesen C, Tennenhouse M, et al. Pain management with acupuncture in osteoarthritis: a systematic review and meta-analysis. BMC Complement Altern Med. 2014;14:312. Corbett MS, Rice SJ, Madurasinghe V, Slack R, Fayter DA, Harden M, et al. Acupuncture and other physical treatments for the relief of pain due to osteoarthritis of the knee: network meta-analysis. Osteoarthritis Cartilage. 2013 Sep;21(9):1290-8. Chiu HY, Pan CH, Shyu YK, Han BC, Tsai PS. Effects of acupuncture on menopause-related symptoms and quality of life in women in natural menopause: a meta-analysis of randomized controlled trials. Menopause. 2015 Feb;22(2):234-44. Trinh K, Graham N, Irnich D, Cameron ID, Forget M. Acupuncture for neck disorders. Cochrane Database Syst Rev. 2016(5):Cd004870. Fransen M, Nairn L, Bridgett L, Crosbie J, March L, Parker Mbbs D, et al. Post-acute rehabilitation after total knee replacement: A multicentre randomized clinical trial comparing long-term outcomes. Arthritis Care Res (Hoboken). 2016 Nov 21. Wu MS, Chen KH, Chen IF, Huang SK, Tzeng PC, Yeh ML, et al. The Efficacy of Acupuncture in Post-Operative Pain Management: A Systematic Review and Meta-Analysis. PLOS ONE. 2016;11(3):e0150367. 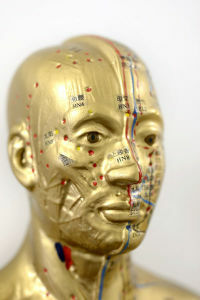 Acupuncture treatment offers a holistic approach to illness, linking the body, mind and emotions. Acupuncture treatment and Chinese herbs may be used on their own or can complement other treatments that you may be having. We use only sterile, pre-packaged disposable needles. Low-level laser therapy may be utilized instead of acupuncture needles for certain conditions. How frequently and how many acupuncture treatment is required varies widely depending upon your individual circumstances. Factors we take into account include the duration and intensity of your illness, your age, constitution and your desired goal. Please see our Acupuncture FAQ for more details or call us on 02 9560 1100 for more details. Most people experiencing acupuncture treatment for the first time are surprised to discover how relaxing it is and may report that they have a ‘greater sense of well-being’. Some of our clients feel the need to rest for a while after their treatment, while others may experience high energy. Both of these responses are common and normal – your body is adjusting to treatment. If you can give yourself permission to listen to your body it will help assist positive treatment outcomes.